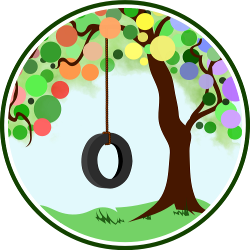 This entry was posted in Gentle Discipline and tagged behavior, children, discipline, nurturing. Bookmark the permalink. Looking at your baby it might be hard to believe that such a sweet, loving little one could…bite you! Most parents are caught completely off guard by that first bite and are uncertain how to handle it. 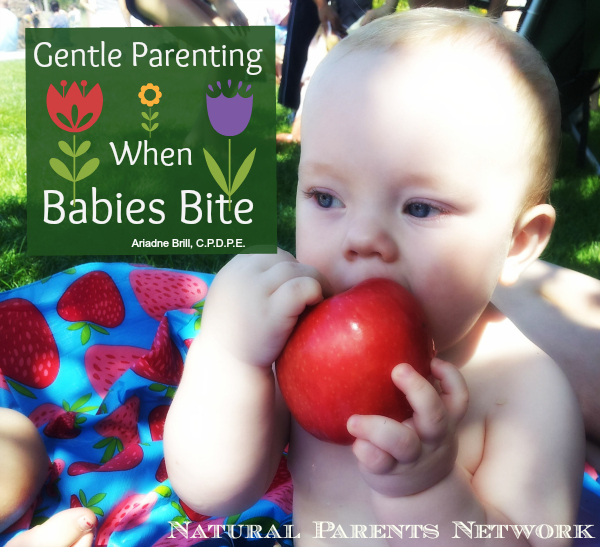 Is it possible to stop babies from biting in a gentle, respectful, non-punitive way? 1. Understand: Babies most often bite out of curiosity, frustration, teething or mouth pain, and to get your attention. All of those reasons require guidance and your gentle intervention. 2. Strive to respond calmly: Babies are looking to us, their caregiver, to understand cause and effect; they also love to experiment and notice patterns. If we screech, yell, lecture, or threaten when a baby bites, we are giving them an experience they will likely try to recreate. It’s not manipulation but rather experimentation (learning!). Whenever possible, remain calm when baby bites. If you squeal, don’t worry, just try to talk in a calm, matter-of-fact way when you offer guidance, which brings us to step 3. 3. Guide gently and clearly: When baby bites, clearly and gently stop baby. “Bitting hurts. I will not let you bite me,” is a gentle yet clear way to communicate that biting is not acceptable. Sitting your baby in your lap or next to you when you are setting that limit is important. This kind approach not only models nice ways to be affectionate, but it also keeps your baby feeling connected to you and safe, as you offer guidance. 5. Offer alternatives: Cold teething rings or frozen washcloths are great ways for babies to safely practice biting. For the older baby, chunks of chilled fruit also work well. My son used to love holding a large chunk of semi-frozen peaches and chilled bananas when his molars were coming in. If biting happens often during nursing, check with your health provider or breastfeeding counselor for issues with supply or thrush. Babies who have itchy mouths tend to pull, gum, and bite due to discomfort. Another time babies bite is when they are having difficulties with letdown and supply (too much, too little) and these issues can be worked out very well with a lactation consultant. Attention is a genuine need for babies, so, if you find your baby is biting to get your attention, it may be helpful to notice the pattern in which it is happening. It can also be helpful to make time for specific one-on-one, mindful interactions each day, several times a day, when possible, to build moments of connection to fuel up your baby’s attention needs. Lastly, if you can’t figure out why your baby is biting, simply focus on responding calmly and consistently and setting that clear limit with kindness. Babies are quick learners, and the gentle approach is ideal for building trust and cooperation that will serve as the basis for positive, gentle discipline for many years to come.